If you have used or eaten cinnamon before, then you have already encountered cassia without knowing it. Cassia is a type of cinnamon, prepared from the dried inner bark of an evergreen tree. When you consume cinnamon found in stores, it’s either cassia cinnamon or Ceylon cinnamon. In North America, much of the cinnamon sold are actually of the cassia variant. Cassia Oil: What Are Its Uses? Multifunctional and multiple usage options: Before proceeding to some of its uses and benefits, it’s important to point out that what makes cassia oil so appealing as an alternative treatment is that there are many ways for it to be used. You can use it as an aromatic, a topical agent for massage, or ingested internally. 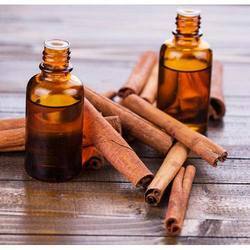 As an aromatic to soothe frayed nerves: Cassia oil can be used as an aromatic. Diffuse cassia oil and smell its aroma to soothe your nerves and improve your overall mood. Not only that, you can combine cassia oil with ginger and clove to create a soothing atmosphere. As massage oil to relieve soreness: As a topical agent, you can use one to two drops of cassia oil with another carrier oil and use it for massage. Cassia oil relieves sore muscles and joint pain. As a food ingredient: You can also ingest cassia oil directly in the form of a veggie capsule, with lemon water, and even as a cinnamon replacement in a lot of cinnamon-based recipes. To treat symptoms of depression and mental distraught: Cassia oil is found to be a good way to help treat symptoms of mental conditions such as depression. This effect is achieved because cassia oil is a stimulant; it stimulates the brain and the nervous system to make you more active and alert and improve your mental state. Cassia oil also stimulates the circulation, discharges, secretions, and metabolism. Eliminates diarrhea, nausea, and vomiting: Cassia essential oil has a lot of benefits when it comes to improving digestion and general well-being. A lot of people can use cassia oil to stop episodes of diarrhea, thanks to its antimicrobial property. It can also treat nausea and stop vomiting. Boosts circulation and relieves rheumatism: Cassia oil can do wonders when it comes to improving the circulation of blood around the body, which means it also helps in the distribution of oxygen and nutrients. As a result, it can actually help treat arthritis and rheumatism. Cassia oil is able to facilitate proper blood flow around the body, especially in joints that are commonly affected by arthritis and rheumatism. Fights fever and microbial growth: Cassia oil actually is capable of inhibiting microbial growth in the body, making it suitable to fight infections. Aside from being an anti-inflammatory, it can also fight infections in the urinary tracts, kidneys, and colon. It can also be effective in fighting viral infections, such as influenza, cough, and colds. As both an antiviral and antimicrobial agent, cassia oil can fight infections that cause fever and therefore it can help lower body temperature. As an emmenagogue: Cassia oil can also work well with women suffering from menstrual cramps, as it can help open blocked menstruation paths. It can also relieve the drowsiness, nausea, and headaches that are commonly associated with menstruation. The points above discussed what cassia oil is and what benefits it holds for the people who actively take it. Of course, just because you’ve read about its potential effects doesn’t necessarily mean you should consume it immediately. Always do your research and dig information from a reliable source before actually doing something for the first time, especially if it involves your health. In addition, do make sure you consult a doctor before taking up cassia oil, especially if you have existing conditions that require you to be careful with what sort of food or medicine you consume.